2015 ACM SIGSOFT Outstanding Doctoral Dissertation Award . World most prestigious award for a PhD dissertation in software engineering. I am currently the manager for Balady initiative, which is a digital transformation initiative to unify, lean and digitize municipal licensing services (over 60 services) across 286 municipalities and consolidate all portals and back end systems across all municipalities (over 50) into one central portal and backend. Participated into NTP (National Transformation Program 2020) labs for 2 months where I was tasked with designing the business case for Balady and coming up with the KPIs and 3-feet plan for the next 5 years. Balady was chosen as one of the top 5 initiatives among over 500 initiatives. Supervised the enterprise architecture for Balady which was carried out by McKinsey digital labs. Executed the first phase of Balady initiative where we launched Balady 1.0, a unified channel and customer experience through integration with 16 different back end systems in the 16 regional municipalities (Amanat). Started the second phase where we aim at re-engineering sectorial licensing (schools, clinics, ...etc) where multiple govt. entities participate in the licensing process. The goal is to come up with a customer centric journey and coherent regulations and bylaws across all government entities. A consultant for Yesser program to evaluate the e-services provided by Ministry of Interior and give my recommendations. 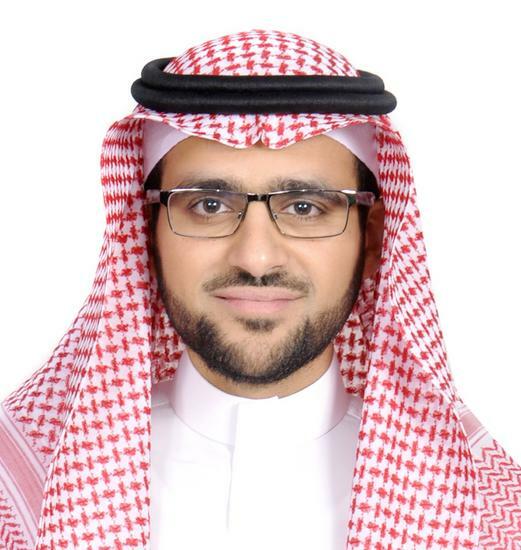 Lead of development team of PKI infrastructure for Shomoos project that connects more than 5000 clients all around Saudi Arabia to MOI. Lead of development team for Elm VPN, a VPN cryptographic gateway appliance built entirely inside Elm and used to secure end to end connections over the internet. Member of Elm Penetration Testing team where we assessed the security of many government entities. Developed the calibration software used in the quality assurance phase of the development process of the digital electricity meter. The software lowered the time for calibration phase in production line from 8 hours to 40 minutes through parallelization of the calibration software. I worked as a consultant in Information Assurance at COEIA where I supervised a number of research projects and gave consultation services to different government and private sector entities. Java Programming, Advanced Software Engineering and Advanced Software Quality. I teach how to engineer software as a cloud service including requirement, design, testing and deployment using Agile development methodologies. Muath Alkhalaf, Shauvik Roy Choudhary, Mattia Fazzini, Tevfik Bultan, Alessandro Orso and Christopher Kruegel. "ViewPoints: Differential String Analysis for Discovering Client and Server-Side Input Validation Inconsistencies." Proceedings of the 2012 International Symposium on Software Testing and Analysis (ISSTA 2012), pages 56-66, Minneapolis, USA, July 15-20, 2012. Muath Alkhalaf, Tevfik Bultan, and Jose L. Gallegos. "Verifying Client-Side Input Validation Functions Using String Analysis" Proceedings of the 34th International Conference on Software Engineering (ICSE 2012) pages 947-957, Zurich, Switzerland, June 2-9, 2012. Muath Alkhalaf, Abdulbaki Aydin and Tevfik Bultan. " Differential Patching of Input Validation in Web Applications". Muath Alkhalaf, Tevfik Bultan, and Jose L. Gallegos. "Verifying Client-Side Input Validation Functions Using String Analysis". Received an NSF travel grant to attend the Summer Formal 2011: First Summer School on Formal Techniques, a one-week summer school which was organized by SRI International. Lead developer for SemRep, which is an automatic vulnerability repairing tool for input validation and sanitisation code in web applications using semantic differential analysis techniques. The tool can be found at (https://github.com/vlab-cs-ucsb/SemRep). Lead developer for Stranger, which is an open source PHP analysis tool to detect web vulnerabilities in PHP web applications such as XSS and SQLI using symbolic string analysis. The tool can be found at (http://www.cs.ucsb.edu/~vlab/stranger/). Co-developer for LibStranger, which is an open source automata-based symbolic string analysis library. The library can be found at (https://github.com/vlab-cs-ucsb/Stranger). Chosen as best library for String Analysis in IEEE/ACM 2014 Automated Software Engineering conference. Co-developer for Linux Alarm which is a Linux personal firewall implemented as undergraduate graduation project. The project is available in Sourceforge under http://sourceforge.net/projects/linuxalarm. It won King Abdulaziz Saudi National Award for Scientific Creativity. My research is on Software Verification and Security. More specifically, I worked on automatic detection and repair of bugs and security vulnerabilities in web applications such as Cross-Site Scripting (XSS) and SQL Injection (SQLI). I have published research papers in top software engineering and verification venues such as IEEE ICSE (largest and top conference in software engineering world wide) and ACM ISSTA (top conference in software testing). I won 2015 ACM SIGSOFT Outstanding Doctoral Dissertation Award. An independent paper published in IEEE/ACM ASE’14 conference ranked my string analysis library libStranger as best library compared to other libraries by Microsoft, MIT and UC Berkeley (see Scott Kausler and Elena Sherman “Evaluation of string constraint solvers in the context of symbolic execution”). Muath Alkhalaf, Abdulbaki Aydin and Tevfik Bultan. "Semantic Differential Repair for Input Validation and Sanitization." Proceedings of 2014 International Symposium on Software Testing and Analysis (ISSTA 2014), pages 225-236, San Jose, California, USA, July 21-25, 2014. Abdulbaki Aydin, Muath Alkhalaf and Tevfik Bultan. "Automated Test Generation from Vulnerability Signatures." Proceedings of the 7th International Conference on Software Testing, Verification and Validation (ICST 2014), pages 193-202, Cleveland, Ohio, USA, March 31-April 4, 2014. Muath Alkhalaf, Tevfik Bultan, and Jose L. Gallegos. "Verifying Client-Side Input Validation Functions Using String Analysis." Proceedings of the 34th International Conference on Software Engineering (ICSE 2012) pages 947-957, Zurich, Switzerland, June 2-9, 2012. Sylvain Halle, Graham Hughes, Tevfik Bultan, and Muath Alkhalaf. "Generating Interface Grammars from WSDL for Automated Verification of Web Services." Proceedings of the 7th International Conference on Service Oriented Computing (ICSOC 2009), pp. 516-530, Stockholm, Sweden, November 24-27, 2009. Fang Yu, Muath Alkhalaf and Tevfik Bultan. "Generating Vulnerability Signatures for String Manipulating Programs Using Automata-based Forward and Backward Symbolic Analyses." Short paper. Proceedings of the 24th IEEE/ACM International Conference on Automated Software Engineering (ASE 2009), pp. 605-609, Auckland, New Zealand, November 16-20, 2009. Graham Hughes, Tevfik Bultan and Muath Alkhalaf. "Client and Server Verification for Web Services Using Interface Grammars." Proceedings of the Workshop on Testing, Analysis and Verification of Web Software (TAV-WEB 2008), pp. 40-46, Seattle, Washington, July 21, 2008.